If you’re looking for a gift for someone that likes fly fishing, this post is for you. We are going to go over some of the best ideas you can come across. You can’t go fly fishing without flies. Do you know if your person is tying their own flies, going to local fly shops, or purchasing flies online? If they must tie their own flies, they may not love getting more, but the vast majority of fly fisherman and women absolutely love getting new flies. So what are your options for flies as gifts? Monthly Fly Fishing Subscription Box – Postfly makes fly fishing boxes for all types of fly fisherman. Even monthly boxes for those that love to tie flies. Be sure to check them out. Amazon Flies (Lots are really bad, so get some good ones) Outdoor Planet does great assorted packs at different price-points. They also come with great waterproof cases for the flies. This is sure to be a great gift. Be aware that there are quite a few very cheap options that most fly fisherman will not like. Avoid packs that are under $.50 per fly unless high quantity. 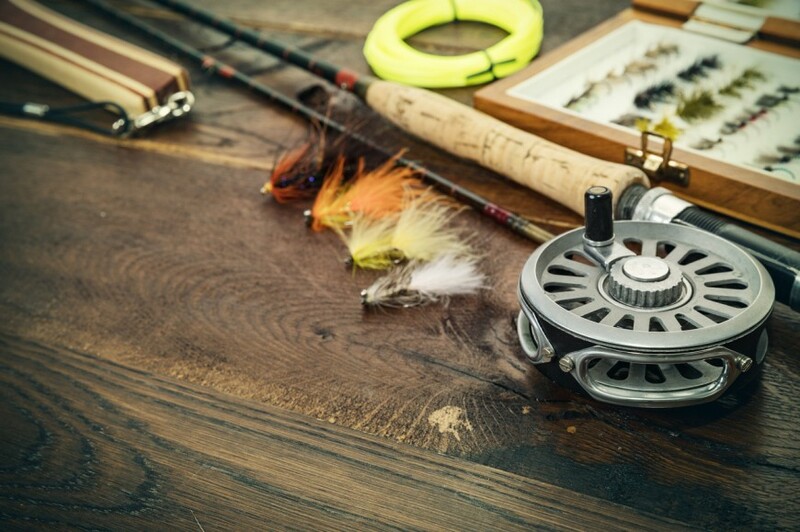 Local flies – Go into a local fly shop, tell them where the gift recipient likes to fish, and they can point you to the best flies. Nomad Fly Fishing Net – One of the top nets recommended by tons of the world’s top guides. There are honestly, tons of great net options out there. There are three main ingredients to make the best fly fishing net: long handle, rubber net, and wide net opening. Does your gift recipient always have their rod in their car in case they need it? Many do…want to know what is even better than always having your fly fishing stuff in the car? It is having it set up and ready to go ON the car. Rod racks on cars are great for trips to rivers where driving from spot to spot is essential, or for local fly fishing when you just don’t ever want to break down your equipment. This ski rack actually states they work well for fishing rods. In Car Racks – These are only suitable for people with long cars as most fly rods are around 9 feet in length. But check out some of the options. A fisherman without sunglasses is almost always blind when staring at the water. Polarized lenses allow fisherman to spot fish, and see the water far better than non-polarized lenses. A nice pair of sunglasses is essential for a long day on the water. If your fly fishing gift recipient doesn’t have polarized lenses, this is a must get gift. You don’t even have to break the bank, you can buy a pair of inexpensive glasses so that they don’t have to worry about losing or breaking them, or just to experiment with polarized lenses. Now this might be one of the most thoughtful gifts in this list. Fly fishing guides that show off a lot of the local spots, with maps, pictures, technique tips, and top performing flies of the area are absolutely awesome. Not only will it be a blast to look through, it may actually provide them a great resource for future fishing trips. This is an especially awesome gift if they have recently moved into a new area, and have a lot of water to learn about and experience. How to find a local book? Easy, go to a local fly shop or book store. Even easier, go on Amazon and search “fly fishing guide (insert location). Underwater shots, scenery shots, action videos, timelapses, you name it. GoPros are a great way for anyone, novice, or videographer, to capture action shots.